Do You Use CrashPlan? What Computer Backup Service Are You Using Now? PC Fixer Mac and PC Repair > Computers > Do You Use CrashPlan? What Computer Backup Service Are You Using Now? Crashplan’s announcement that they’re ending support for consumer accounts happened in August, and their offer of 60 extra days of computer backup service is about to end. As the best computer repair services in LA, PC Fixer is here to help you decide which online backup service to use which offers security, reliability and performance so you’re never left worrying about your important data. Now that one of the best backup services is gone, you’re probably searching for some information and guidance. Fortunately, there are a lot of services that can replace your old CrashPlan backup. Alternatively, you can build your own cloud backup. Officially, CrashPlan suggests you switch over to Carbonite, which is another well-established backup service. But before you do, there are more options to consider. Different backup services have different pricing plans, and use different backup methodology as well. Some backup plans sync continuously, while others sync once a day. Additionally, some services won’t back up your external drives. 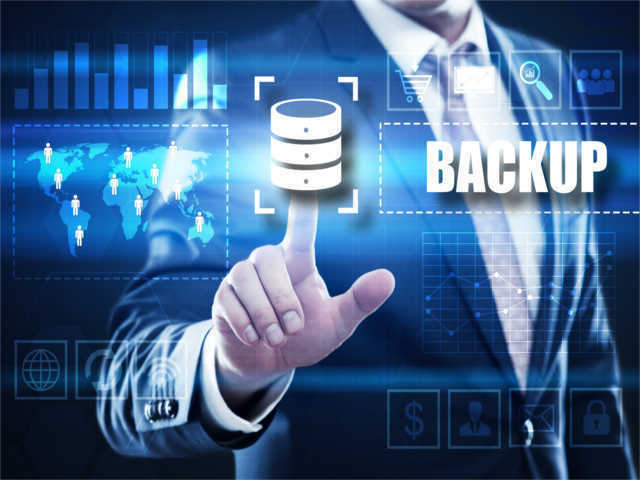 Make sure to look into other online backup providers, such as Backblaze, and select the service which works best for you, checking factors such as price, allotted storage size, security, and reviews. In addition to full service computer backup over the Internet, you can look at cloud based storage services like Dropbox, Google Drive, or Microsoft OneDrive. Each of these services has a free plan, as well as paid programs. If you’d like more control over your backups, you could build your own. Using a combination of cloud backup software and cloud storage services, your own computer backup service is within your grasp. You can use software such as Arq, which works the same way CrashPlan works, and stores your files securely. You can use Arq to choose the folders you backup, or just back up your entire computer. This backup service not only backs up your computer, but you can use it to back up network drives and external drives as well. Arq works with whatever cloud storage service you choose, which can be Google, Amazon, Microsoft, or another company. Another option instead of using a cloud storage service is to store your data on a local NAS, or network access storage. You should keep both an on-site and off-site backup. Even with the cost of your cloud storage, your home built computer backup could save you money in the long run. You should definitely not just let your computer backup service go by the wayside. If your computer should go down, or your hard drive fails, you’ll regret not keeping a current backup of your system. Without a backup, you’re looking at being without your computer and information while you pay a professional computer repair or data recovery company to get your data back. At the very least, you should have Google Backup & Sync, which lets you choose which folders sync to your Google Drive. If you just can’t bring yourself to leave CrashPlan, you don’t have to. You can sign up for CrashPlan’s small business computer backup service for $10 per month, per device. If you’re looking for personalized advice, or you already need help getting your data back, call PC Fixer at (310) 948-0588, or email to schedule a consultation. Do you have any horror stories about data recovery? Share your story on PC Fixer’s Facebook page.